I would like to get short the live cattle market. With the country immersed in drought conditions, the cattle markets are set in a channel/downtrend that I believe will continue into the fall season. We have already seen it play out in the grain markets with no major relief in the near future. With the modest rally that we have seen recently in the cattle market, I will trade this opportunity but use the further out contract of April 2013 as the spread month. 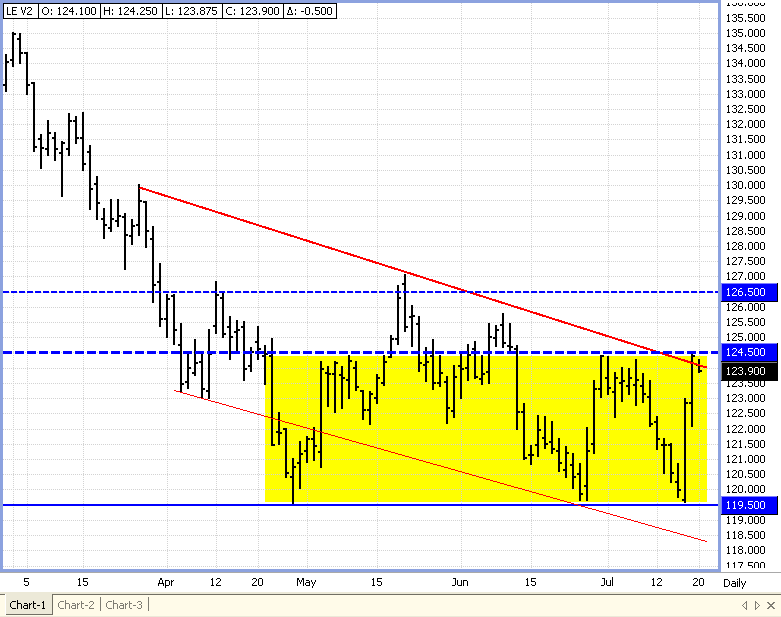 Technically in the October contract, we are at an interesting level of 124.00, which appears to be recent resistance. As slaughter numbers continue to rise due to higher grain prices we see the market saturated with supply. (In the coming months look for this same slaughter cycle to be supportive of 2013 contracts due to lack of supply). We have 2 reports Friday afternoon after the close; a Cold Storage report and Cattle on Feed that I believe will also be favorable to a short position. 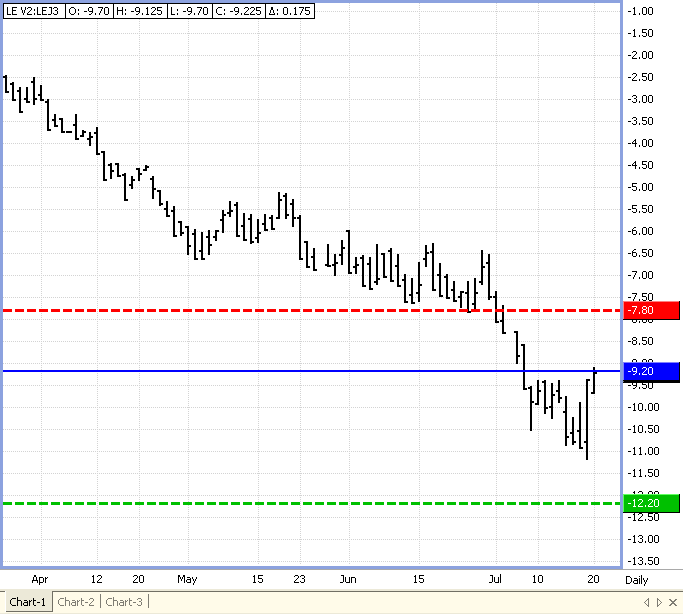 The 1st chart below is the October contract only and the 2nd chart is the spread that we will be trading. BUYING the October 120.00 put for $800.00.